Recently we did a load test on a crane to 50,000 pounds. 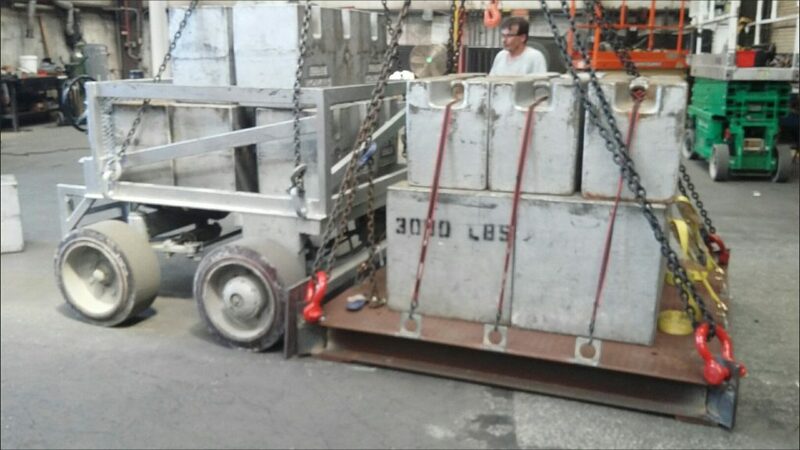 The weight of our test cart plus the additional weights we stacked on the deck allowed the crane to lift 50,000 pounds, ensuring that it could withstand that load safely. Please let us know how we can assist with your crane load test or any other weight or measurement needs.